Xiaomi is all set to launch the Redmi 4A smartphone in India on Monday, at an event in New Delhi that starts at 12:30pm IST. The Chinese company has confirmed it will be launching a Redmi device, and that it will be an Amazon exclusive. For now, India price and availability details have not been tipped. The Xiaomi event on Monday will be hosted by VP of Xiaomi India Manu Jain, and Product Lead Jai Mani. Amazon India is also accepting registrations for regular notifications on the upcoming Redmi device, and details on when it will launch. With the repeated emphasis on both the 4 and A symbols in both Amazon India and Redmi India marketing, it seems likely the company will launch the Xiaomi Redmi 4 series of smartphones in India, with the Xiaomi Redmi 4A more likely. To recall, the Redmi 4 and Redmi 4A were launched in November - the Redmi 4 is priced at CNY 699 (roughly Rs. 6,900), while the Redmi 4A was launched at an introductory price of CNY 499 (roughly Rs. 4,900) but now it's CNY 599 (roughly Rs. 5,900). the Redmi 4 bears a 5-inch HD (720x1280 pixels) display, an octa-core Qualcomm Snapdragon 430 SoC, 2GB of RAM, 13-megapixel rear camera, 5-megapixel camera, 16GB of inbuilt storage, and a 4100mAh battery. 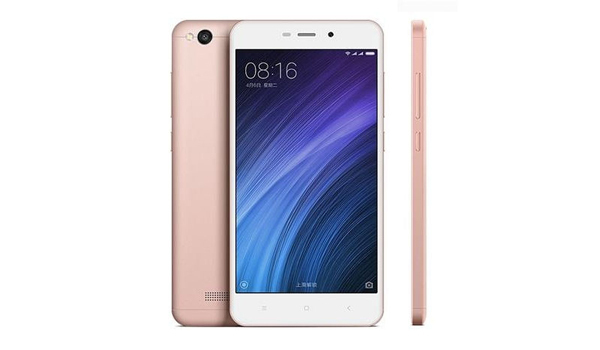 The cheaper variant Redmi 4A does not sport a fingerprint sensor at the back, and sports a 5-inch HD (720x1280 pixels) display, a 1.4GHz quad-core Snapdragon 425 SoC, 2GB of RAM, 13-megapixel rear camera, 5-megapixel sensor, 16GB of inbuilt storage, and a 3120mAh battery.